At the end of February and during March, Lester will be working with Blaize Community Arts as the Music Director of “Joan & Jimmy”, a new play written by Jim Woodland and directed by Mike Bettison. Telling the story of the life of the inspirational theatre director, Joan Littlewood, and that of her one time husband and partner Ewan MacColl (aka Jimmy Miller) the play covers the early days of Theatre Workshop; from Kendal in 1945 to Stratford East in 1952. Like many of Littlewood’s own plays, the story is told in words and music – with songs by Jim Woodland, arranged by Lester and opens up a wider vision of the work of two seminal influences on both the Folk Revival and theatre. 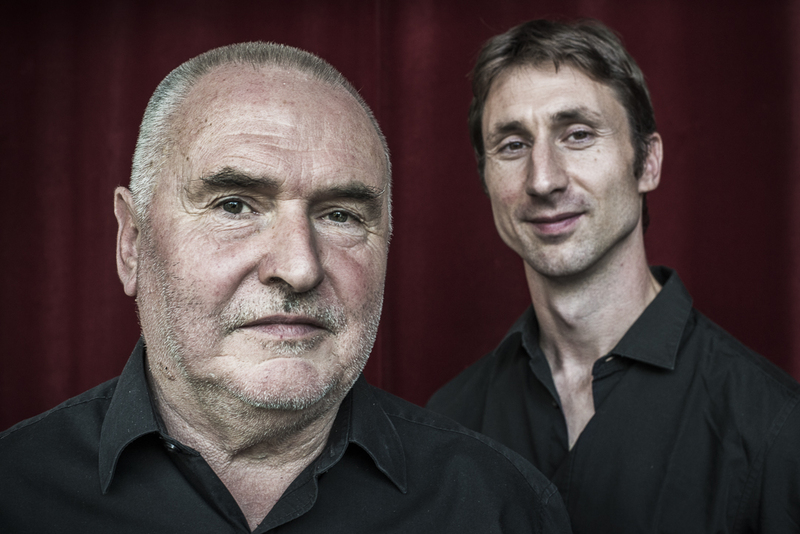 Jim Boyes in joined by master-guitarist Maarten Decombel in a new duo featuring new and lesser-known songs by Jim and Maarten’s superb innovative accompaniments and harmonies. A treat to start the New Year. Barry Coope and Jim Boyes will be joining Bob Fob, John Tams, Chris While, Julie Matthews and Jez Lowe to sing songs from “The Ballads of the Great War” series in a live broadcast which is part of the BBC’s commemoration of the centenary of the Armistice. With specially commissioned orchestral arrangements by Greg Lawson, featuring the BBC Philharmonic Orchestra, the songs are interspersed with readings from his books “War Horse” and “Private Peaceful” by Michael Morpurgo. The long-awaited first album from Narthen (Barry Coope, Lester Simpson, Fi Fraser and Jo Freya) is on sale now. A tour de force with a varied choice of intelligent material, excellent singing and playing, clearest sound and elegant design – it’s officially released on 14 September, but copies are available now by Mail Order from No Masters. 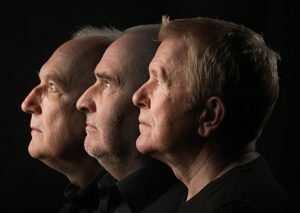 Coope Boyes & Simpson’s long association with music about Remembrance is continued as Barry & Jim bring new songs to Radio 2’s Ballad of the Great War 1917 on 11th November. Barry Coope joins The Thurnscoe Harmonic Male Voice Choir to sing his arrangement of “Trench Raid”, a new song written by Sean Cooney of The Young ‘Uns. The programme also includes a first chance to hear Jim Boyes & Maarten Decombel as the new duo perform “Passchendaele”, a song by Jim which was specially commissioned for the centenary of the battle. Fatea have just announced that Coope Boyes & Simpson’s work has been recognised with a Lifetime Achievement Award in the magazine’s Annual Awards 2016. Neil King, Fatea’s Editor, tells us – it’s the first time that we’ve ever awarded it to a group. The Award recognises, not only the trio’s many years of producing great vocal albums, but also the broader aspects, such as their contribution to the No Masters Co-operative, awareness of the In Flanders Fields Museum, workshops and encouragement to other singers. If you’ve enjoyed Voices at the Door on record but don’t care too much for dusting, we’ve just had the excellent news that our eponymous second album Voices at the Door: Midwinter Songs & Carols will be available to download from 20th November 2015. This makes it much easier as far as housework is concerned, but a bit of a problem to autograph.